Close Brothers is one of the UK’s leading merchant banking groups, and is an industry expert in Invoice Finance and Asset-Based Lending solutions. Established in 1878, they have since built a reputation as a trusted Invoice Finance provider with a strong background in the financial industry. 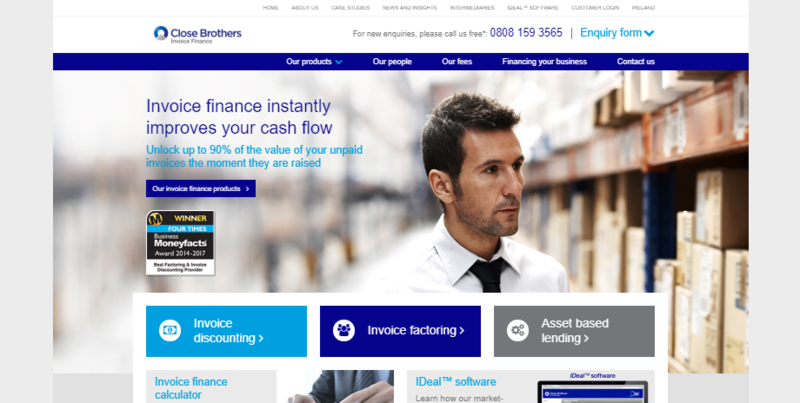 As a member of the FTSE 250, Close Brothers has the monetary capability to support large working capital needs, while maintaining the flexibility and accessibility of an independent provider. Close Brothers Invoice Finance has headquarters in East Sussex, but also has regional offices throughout the UK, Ireland, and Germany. So, let’s get rolling with our review of Close Brothers Invoice Factoring. Should You Use Close Brothers Invoice Factoring? Close Brothers also provides specialized services in a variety of other fields such as Asset Finance, Asset Management, Leasing, Commercial Finance, and Retail Finance. Th0eir Invoice Finance solutions provide the necessary working capital to solve the issues facing your business including cash flow gaps, covering daily expenses, and business expansion. Close Brothers have transparent fees that vary depending on factors such as your business size, value of outstanding invoices, and the time it takes for your customers to pay their invoices. Typically, Close Brothers charges a service fee ranging from 0.5% to 2%, and a discount rate of 2.5% to 3.5% over LIBOR, for businesses using an Invoice Factoring facility between £250,000 and £5 million. Your service fee is included in the total administration charge, which covers the total cost of running your Invoice Factoring facility, as well as credit control and optional bad debt protection (which we will cover later). The discount rate is just like a bank overdraft, and is charged as a percentage over the LIBOR against your drawn funds. It occurs at the end of every month, and stops once your customer settles their invoice with Close Brothers. Close Brothers offers a variety of Invoice Finance products that covers Close Brothers Invoice Factoring, Invoice Discounting, and Asset-Based Lending. Their solutions provide funding to assist with daily expenses, business expansion, and facilitating growth. Close Brothers has a team of industry experts that are able to understand your business, and tailor a solution to achieve your business goals. Invoice Factoring provides fast access to working capital by unlocking funds tied-up in your unpaid invoices. Close Brothers buys your slow-paying customer invoices and advances up to 90% invoice value to you within 24 hours. It is an incredibly useful business finance solution that also allows you to outsource sales ledger management and credit control processes. As a result, you have more time and resources to focus on growing your business, while Close Brothers handles your collections and credit management. When your business expands, you also have access to more funding to meet your increased working capital needs. Close Brothers Invoice Factoring is currently available if your business has an annual turnover of £250,000 or more. Bad Debt Protection is also offered as an add-on feature to your facility. Close Brothers Invoice Discounting offers immediate access to up to 90% of your invoice value within 24 hours, but with the added element of confidentiality. Close Brothers’ IDeal online platform easily integrates your accounting software with their technology, in order to automatically extract and update copies of your sales ledger in real-time. This allows for a fast and efficient process whereby you receive your funds from Close Brothers even faster. Asset-Based Lending allows you to combine your Invoice Finance facility with funds raised against assets such as stock, property, plant and machinery. Close Brothers advances you up to 90% of your accounts receivables, plus funds raised from a flexible range of assets. You have access to even more funds to facilitate strategic activities such as buyouts, mergers, acquisitions, and refinancing. Close Brothers Asset-Based Lending is suitable for larger businesses with annual turnovers of at least £10 million, that need to raise between £2 million to £35 million in funding. 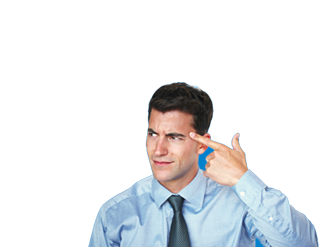 Close Brothers offers Bad Debt Protection for their Invoice Finance products. It enables you to protect against up to 100% of your pre-approved customers, and ensures you still receive funds even if your customers are unable to pay their invoices. In the case that your customer becomes insolvent, Close Brothers handles the entire process for you. They liaise with insolvency practitioners and resolve everything in as little as 2 weeks. You remain free to continue focusing on growing your business, without having to worry about your finances being affected. What’s more, if you register for Bad Debt Protection with Close Brothers before 30 April 2018, you’ll receive 6 months free! Close Brothers offers telephone, email, and online chat support during regular business hours. They also have local offices in the UK, Ireland, and Germany where you can arrange a face-to-face meeting with an adviser. In the UK, they are located in East Sussex, Manchester, Bristol, Birmingham, Glasgow, and London. As a client, you’ll also have access to a dedicated Relationship Manager, who will help you understand your business needs and get the most out of your Invoice Finance facility. You can set-up physical meetings with them, or simply keep in touch regularly over the phone or email. Close Brothers has contracts that are individually tailored to the needs of your business. Their contracts vary based on factors such as funding needs, value of outstanding invoices, and business size. You can contact a customer representative in order to receive an accurate quote, or use their Invoice Finance calculator for a quick estimate of your potential funding. Close Brothers is one of the top merchant banking groups in the UK, and its Invoice Finance services are a popular choice for UK businesses. Their extensive case studies show past successes that Close Brothers has had with companies of all sizes from multiple industries. Clients all agree that their experiences were hassle-free, flexible, and eased their overall cash flow concerns. Close Brothers’ IDeal technology also seamlessly integrated with their own business’ accounting software, which resulted in less administrative costs. Close Brothers maintained close contact with each of their clients to ensure that every issue was resolved, and 100% of their customers say they would recommend Close Brothers to other UK businesses. Their average customer lifetime is over 5 years, which is considerably more than the industry average of 18 months. At the moment, there aren’t enough online reviews of Close Brothers Invoice Factoring to reach a solid consensus. On Trustpilot, they currently have one review, that also gave a 5-star rating. However, their extensive portfolio of case studies is a great indication of Close Brothers’ reputation as a trusted Invoice Finance provider for UK businesses. Close Brothers is an independent provider with a large pool of resources, and compares well to companies with similar capabilities such as IGF, Bibby Financial Services, Skipton Business Finance, and Aldermore. Close Brothers offers similar Invoice Finance solutions as its competitors. Although its specified minimum annual turnover is higher, it’s important to note that £250,000 is the typical industry minimum for a business to qualify for Invoice Factoring. Close Brothers are Invoice Finance experts with 50 years of experience, which enables them to help you find the right funding solution. They take into account factors beyond superficial indicators, and make decisions on a case-by-case basis. Close Brothers aims to understand your business and funding needs, in order to offer a suitable tailored solution. They are also industry experts in multiple sectors including manufacturing, engineering, recruitment, and healthcare. Close Brothers offers you the resources of a FTSE 250 company and the flexible service of an independent provider. Their local offices throughout the UK make them highly accessible, since you can easily arrange an in-person meeting with a Relationship Manager to advise on your funding needs. Close Brothers is one of the top merchant banking groups in the UK, and have offices throughout the UK, Ireland, and Germany. Their status as a FTSE 250 company means that they have the expertise and resources to fund your business as it grows over time. Clients remain highly satisfied with Close Brothers’ straightforward, hassle-free service, and on average report spending over 5 years with them. Close Brothers are remarkably transparent with their costs and contracts, with an easy-to-use Invoice Finance calculator that allows you to estimate your potential funding. Their SME-friendly solutions help you achieve a range of goals including covering daily expenses, business expansion, and restructuring. If you’re interested in finding out more about Close Brothers Invoice Factoring or receiving a quote, be sure to reach out to a customer representative.